Get the wordpress most easiest and complete job board. Job seeker can get his desire job is his email account. Just subscribe for job alert and add his preferences and alert frequency (daily/weekly/monthly). To find a right job is not an easy task. 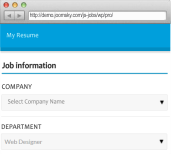 JS Jobs have built-in job search feature for job seeker. 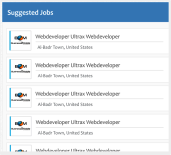 JS Jobs offer multiple criteria to search desire job. JS Jobs support WordPress SEF. JS Jobs also offer SEO options for jobs, companies and resume. 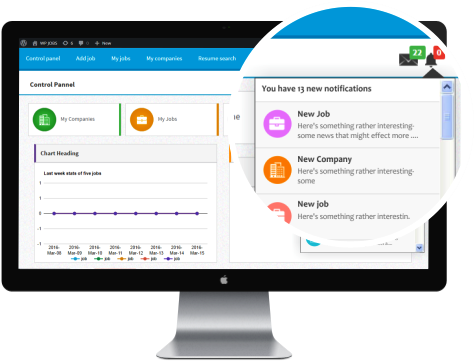 Tags provide a useful way to group related jobs/resume together and quickly access related jobs/resume. Admin can add Google ads in job listing, that show ads after how many number of jobs. It will help you to earn money. The theme has serveral layouts options that you can easily modify. 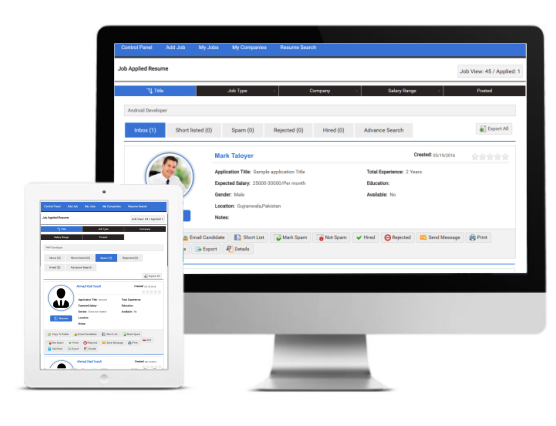 JS Jobs have it own user registration and login forms. No neet to use any third party register plugin for user register. With forms that allow your users to signup and login without ever leaving your main site, you provide a much more consistent and comfortable environment. It provide that next level of integration that really makes your site zing. 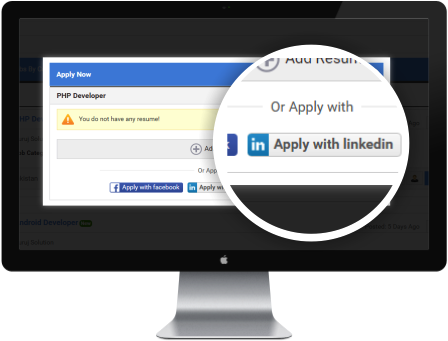 If user hesitate to register, don’t worry about it, JS Jobs offer social login to these user. 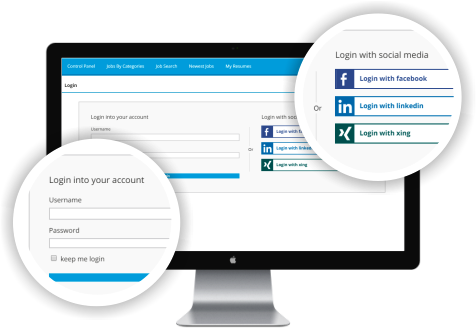 JS Jobs also offer social login of these popular social sites. Do not miss any important action. 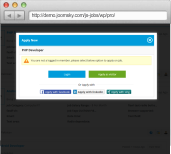 JS Jobs have notifications in control panel page. job apply ,job applied resume status change or when someone sends a message or replies to a message. Admin create package for employer and job seeker with cost and credits. Users buy credit packs defined by admin using paypal or woocommrece. 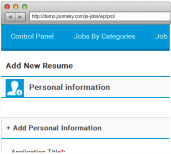 JS Jobs comes with unique feature, visitor can add jobs and also he can edit job. JS Jobs send him an edit job link in his email. Some user to hesitate to register before apply to job. JS Jobs offer visitor can apply to any job. He click on apply job, fill the resume form and apply to job. 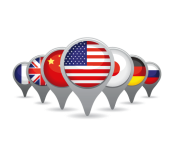 JS Jobs have different languages its not for just the English it support any language. You can set the JS Jobs language according to your locality. JS Jobs give you the jobs listing along with the special Gold and Featured jobs listing. 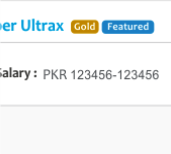 Gold and Featured jobs are not just listing in different layout it can also be listed in Newest Jobs controllable by admin. On each message JS Jobs send email notification. 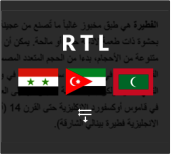 JS Jobs support RTL layout. 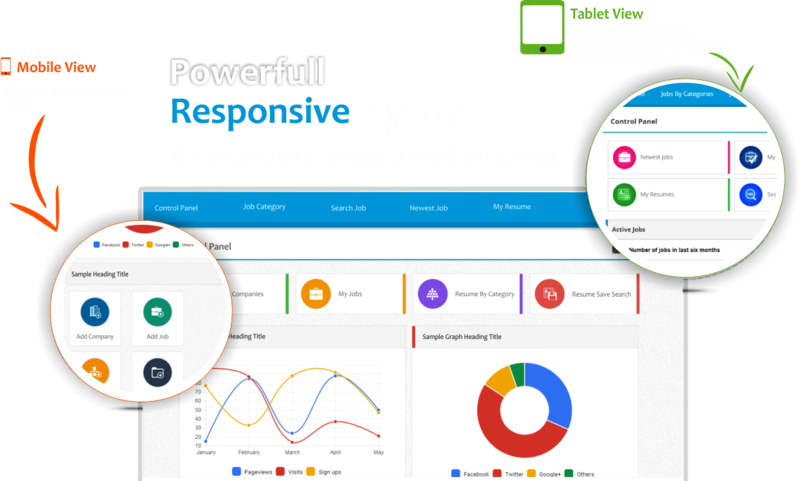 JS Jobs also auto adjust to RTL or LTR without any problem. Custom fields are now more efficient and reliable. Admin can make custom fields visible on search forms, refine search popup and on main listings. JS Jobs have very powerful feature. 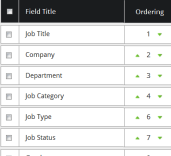 Admin can change field order of form job, company and resume according to his wish, just by click up or down arrow. Admin can also unpublished unwanted fields. JS Jobs send lot of email notification to employer, job seeker and admin. 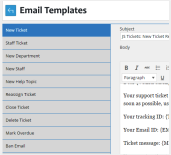 You can easily change email templates using html editor. You can also add addition information with email alert. JS Jobs give more power to employer on applied resume. Nowadays employer receive lot of resume for his jobs. Some of them relevant and some are not. JS Jobs handle this problem with filter and give useful options to employer. It help employer to find best candidate for his job. Reports are very essentials for admin to know, what going on his system. You can customize the color layout for the JS Jobs. You can either select colors from a color pallet table or select the predefined set. 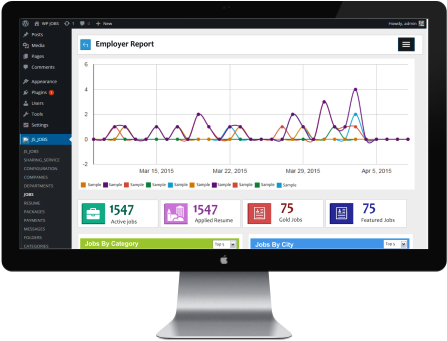 Activity log is a record of every action of JS Jobs by admin, user or visitor. 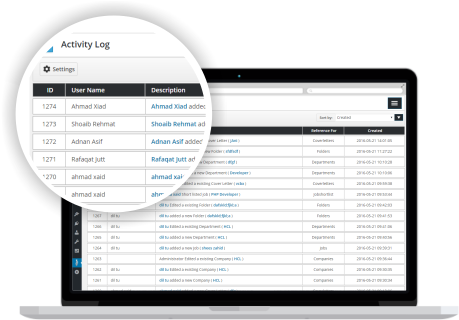 Whenever any user or admin performs any action, the activity log is updated with the user name and a basic description of action.Admin can keep a track of every change in the system. JS Jobs support PayPal express checkout. 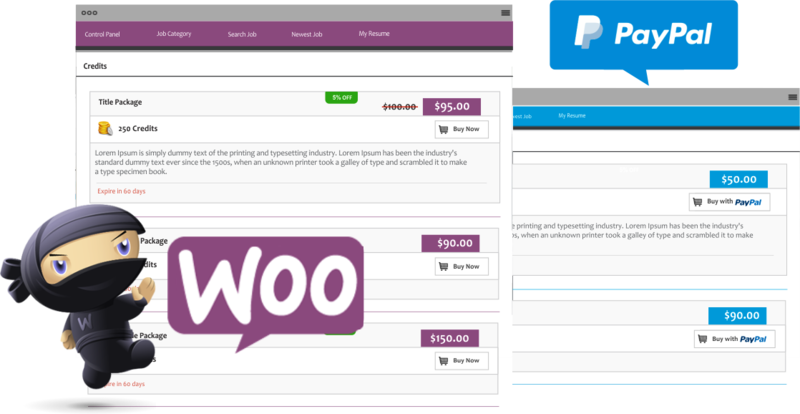 JS Jobs also integration WP most popular shopping plugin, woo commerce.